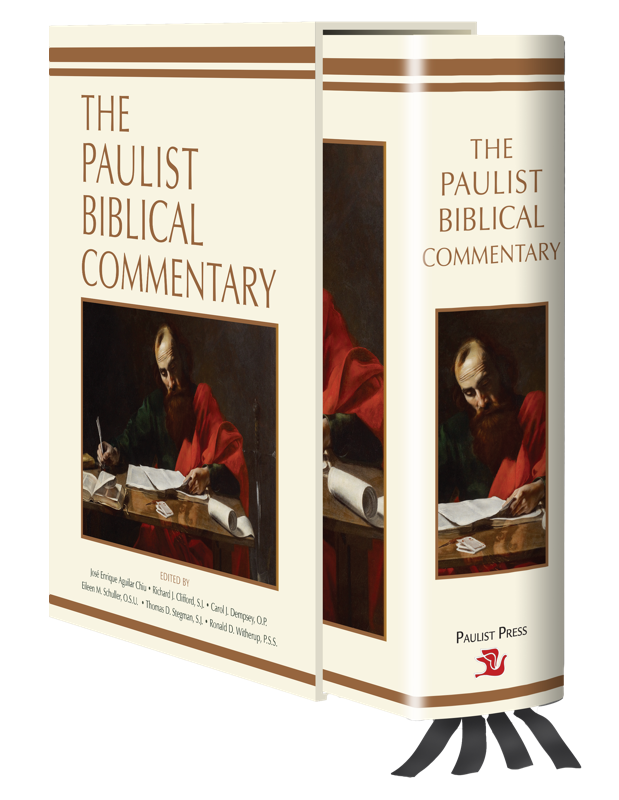 The Paulist Biblical Commentary (Paulist Press, 2018) is a significant new compendium of the very best in contemporary biblical scholarship. The 1,686-page volume, which brings together in collaboration more than 70 international biblical scholars, consists of a commentary on each of the 73 books of the Catholic canon of the Bible along with 12 general articles, written to be accessible to a wide variety of readers, especially those engaged in pastoral ministry. The book’s general editors include STM Dean and Professor of New Testament Thomas D. Stegman, S.J., and STM Professor Emeritus of Old Testament Richard J. Clifford, S.J., who served as STM’s founding dean from 2008-2010. Fr. Stegman penned the volume’s commentary on Romans. Fr. Clifford contributed commentaries on Genesis, Wisdom, and Nahum. Fr. Stegman and Fr. Clifford also co-wrote the general article on “The Christian Bible.” Other BC contributors are: STM’s Associate Professor of Old Testament Andrew R. Davis (Job), Associate Professor of New Testament Angela Kim Harkins (Daniel), and Assistant Professor of Old Testament Michael Simone, S.J., (Judges) and Pheme Perkins, Joseph Professor of Catholic Spirituality in BC’s Theology Department, who contributed a piece on the Gospels. More from BC News. This entry was posted in Boston College Authors and tagged Bible, School of Theology and Ministry, Theology Department. Bookmark the permalink.